I wonder what your personal prayers for other people’s needs are like. Perhaps part of your regular prayers are like a shopping list – you have a collection of people you regularly pray for, and you methodically go through the list, ticking them off as you’ve mentioned them. But what are your prayers like when an urgent need comes up? When you are only praying for one person, do you find yourself starting to rehearse before God all the reasons why he should answer your request – perhaps to heal this person? Maybe sometimes we are so daunted by the seriousness of the appeal we are making to the Lord that we are trying to buttress our own faith by deploying reason after reason why we think God should say ‘yes’ to us. In those situations, a common component of our prayers is to say, “Lord, the person I am praying for is a good person. Here is a list of all the worthy things she has done. Here, too, is a list of reasons why it would be important to heal her.” We hope that – like some barrister pleading for a client before a jury – we can persuade God to find in favour of the friend we are representing in prayer. And you know what? It’s wasted breath. Our story tells us that. Now while Jesus doesn’t castigate them for this – indeed, the next thing we read is that he ‘went with them’ (verse 6) – it is apparent from the story that this is not why Jesus healed the gravely ill slave. This, I believe, is the first of two elements in the centurion’s faith that Jesus praises so highly. We would say it is about grace. The centurion does not appeal to Jesus on the basis of being ‘good enough’. He knows that any divine response is never going to come on that basis. It will only come because God is gracious and merciful. And that indeed is what happens. Jesus does not announce the healing on the basis of the man having funded a synagogue. In fact, Jesus even seems to honour the centurion’s request not to come under his roof, because he simply says that the healing has happened. The healing is discovered when the friends whom the man has sent (verse 6) return to the house (verse 10). I want to say that there is both good news and bad news in this approach. The bad news is for those who want to earn their own favour with God. That is, the sort of people who want to put out a record of good works and claim they are worthy of the Almighty’s company and favour. This will not do. Not one of us. At the heart of the Christian Gospel is the stark message that ‘All have sinned and fallen short of the glory of God’ (Romans 3:23). All. No exceptions. We need to put aside any religion that is based on thinking we can make ourselves good enough for God, or that we can put ourselves within his boundary markers. It isn’t possible. We delude ourselves dangerously when we do that. But we still have people in church congregations who believe this lie. So what is the good news here? Jesus invites those of us who know we are not good enough or worthy of his love still to approach him in prayer. What is it about yourself that makes you feel unworthy before Jesus? Is it all those times you have let him down? He still invites you to pray. Is it that recently you have done something you are particularly ashamed of? He still invites you to pray. Is it that you don’t feel like you fit in socially – either in society, or even, perhaps in the church? Guess what – in his grace he still invites you to pray. Perhaps you have a stigma – maybe it is the stinging words of someone who has always put you down and made you feel like dirt over the years. Jesus doesn’t speak to you like that. In fact – he invites you to pray. He says, ‘Speak to me. I am listening. I am full of grace and mercy. My Father wants you to approach him as his beloved child.’ Believe the good news. Now I know that putting it like that is rather to expand things beyond what the centurion probably understood at the time, but I think in the bigger New Testament picture of things, it’s justified. Jesus, the Word who was and is the eternal Second Person of the Trinity, was incarnate of the Virgin Mary and submitted himself as a servant, even to death. On earth, Jesus – despite being fully divine – acted as ‘a man in the power of the Spirit’ (Jack Deere). Under the Father’s authority, he could command healing, he could command the wind and the waves, he could turn water into wine and make five loaves and two fish feed a multitude. Maybe it is something like this. When I worked in Social Security, I would issue several letters a day to benefit claimants or to self-employed people about their National Insurance. I signed every single one ‘pp’ the manager. My signing authority was that of my manager. That gave me the right to say what I said in those letters. 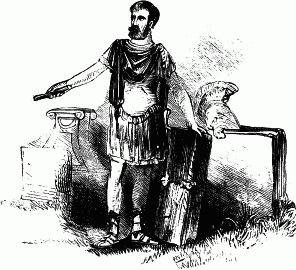 The centurion had the ‘signing authority’ of the Emperor. Jesus had – and has – the signing authority of the Father. What difference does this make to our praying? While I don’t want to minimise the difficulties we face when our prayers are not answered in the way we hope – whether we get a ‘no’, a different answer, or even the silence of heaven – what I want to encourage us to remember is this: it’s about the rank of the Person to whom we are coming. The risen and ascended Jesus is at the right hand of the Father. He is even praying for us, and the Holy Spirit prays through us. The Father is not being badgered: Jesus and the Spirit share his authority. So I want us to be encouraged in prayer. The court of heaven is an environment in which we are welcomed and heard. We have been encouraged into the Father’s presence by his grace and mercy in Christ. Now that we are there, we can humbly revel in the authority he desires to exercise for the sake of his kingdom, so that things conform on earth to the way they are done in heaven. If you are considering bringing a request in prayer to God and wondering whether it is worthy being brought, simply ask yourself this: if this were answered, would it be a good fit with God’s reign coming more fully on earth as it is in heaven? That doesn’t always have to mean it’s super-spiritual. It doesn’t always have to mean that it’s an earth-shattering request. But it does mean this: would it reflect God’s love for people? Would it demonstrate God’s love in Christ for the last and the least? Would it be a sign of mercy, or healing, or peace, or justice? It may still benefit us, by the way, as the healing of the slave did the centurion. Jesus loves to answer prayer. Does anyone know who wrote it? John Newton, author of ‘Amazing Grace.’ You don’t need me to remind you that Newton was a former slave trader who was converted to Christ, became an Anglican clergyman and supported William Wilberforce’s campaign to abolish the slave trade from which he had previously profited. Newton epitomises both of the strands of prayer that the centurion understood. He certainly knew that he was most unworthy to grace God’s presence in any way at all, least of all to ask for things in prayer. But he understood and experienced grace. He knew that in Christ and his cross God had forgiven him for some of the very worst things one human being could do to another. He would not have earned an audience with heaven on the grounds of his goodness. Friends, this is what we do. 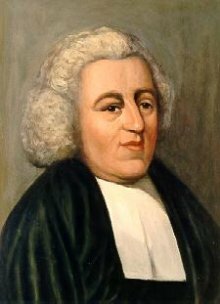 Even if our lives are not as scandalous and colourful as John Newton’s – and unless anyone is hiding some remarkable details from us, I think I can safely say that’s the case here – we know we can and we may come to God’s presence because of his grace. Our humility does not exclude us, but leads us to the reason why we may come: God in Christ is gracious and merciful. Then, when we come, we come to Christ who has authority from the Father. And therefore we can come with big requests. Big kingdom prayers. So let us pray. Not just now, in this service. But always. Posted on June 1, 2013, in Sermons and tagged John Newton, prayer. Bookmark the permalink. 4 Comments. Glad to know it encouraged you.